As we age, we realize that the process of human communication is constantly changing for the better. Humans learned to derive a lot of means to promote proper communication with each other. 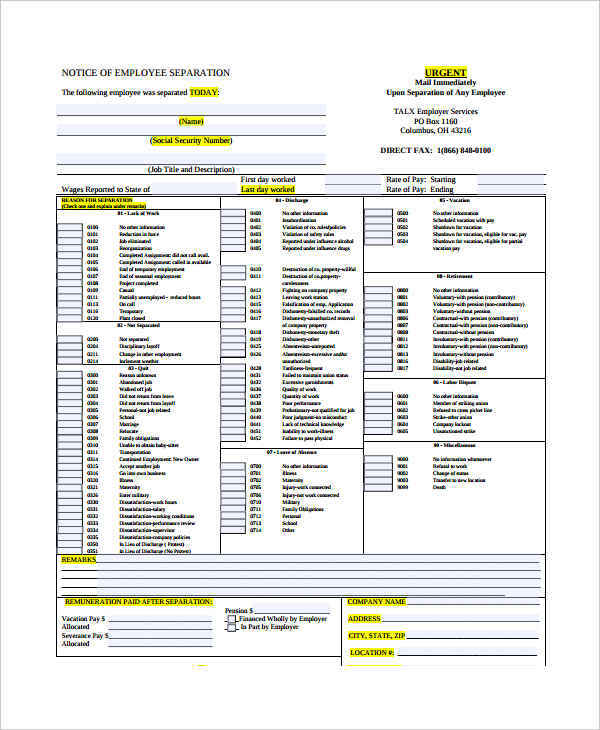 sample Notices are among these key components of a proper human communication. There are several types of notices, all of which are used to provide notification or warning notice about certain matters that need a few individuals’ attention. 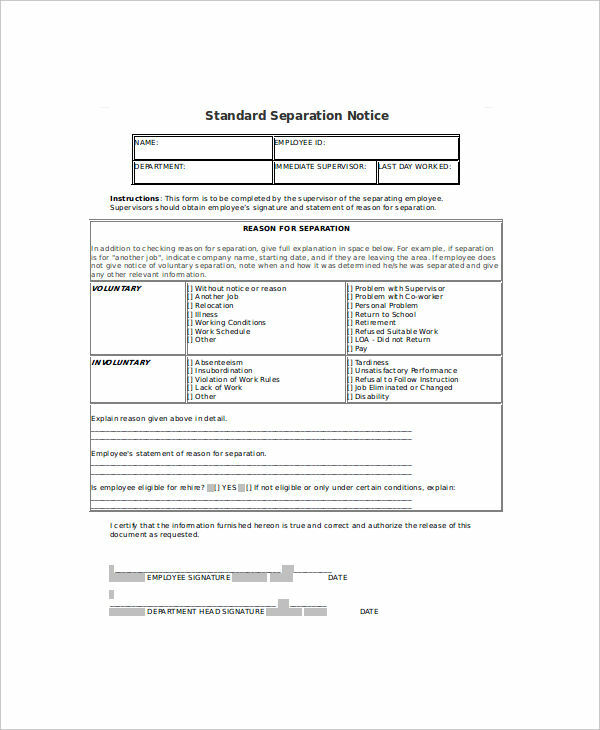 A separation notice is among the notices which serve to notify people about certain things. 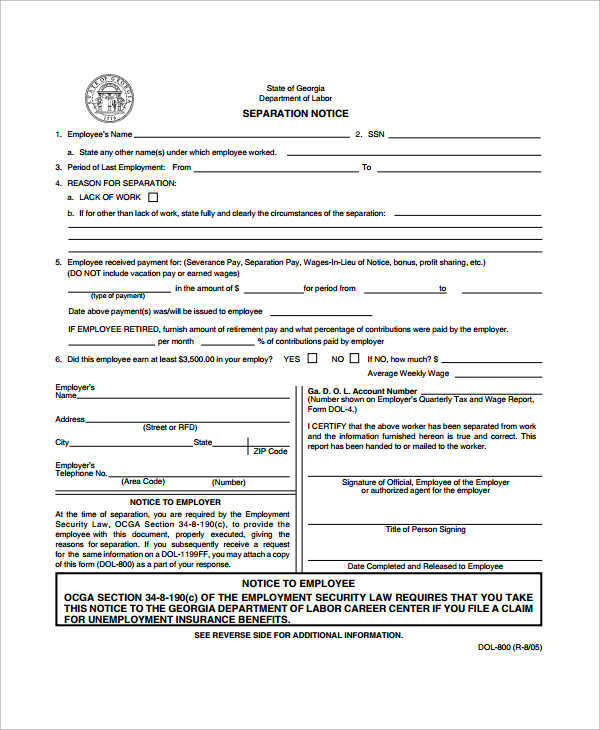 What Is a Separation Notice? 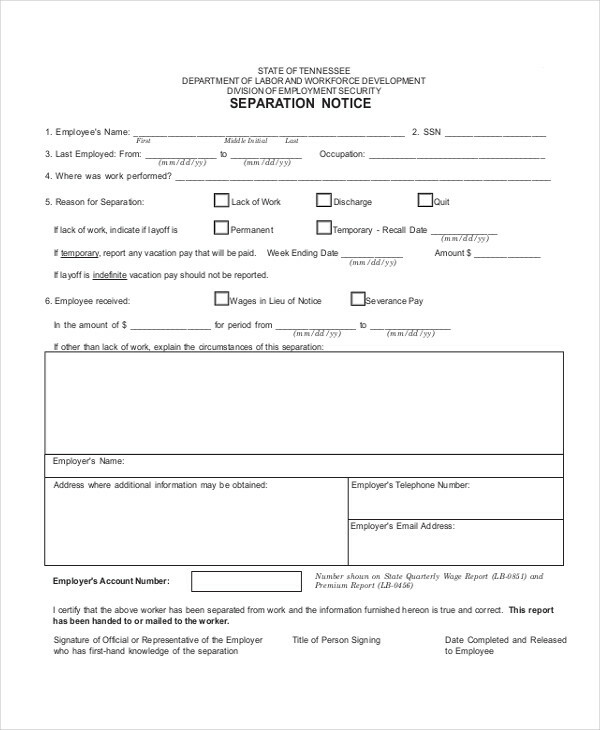 A separation notice is a formal document which is typically issued when upon the end of an individual’s employment period. and other important details regarding the separation. 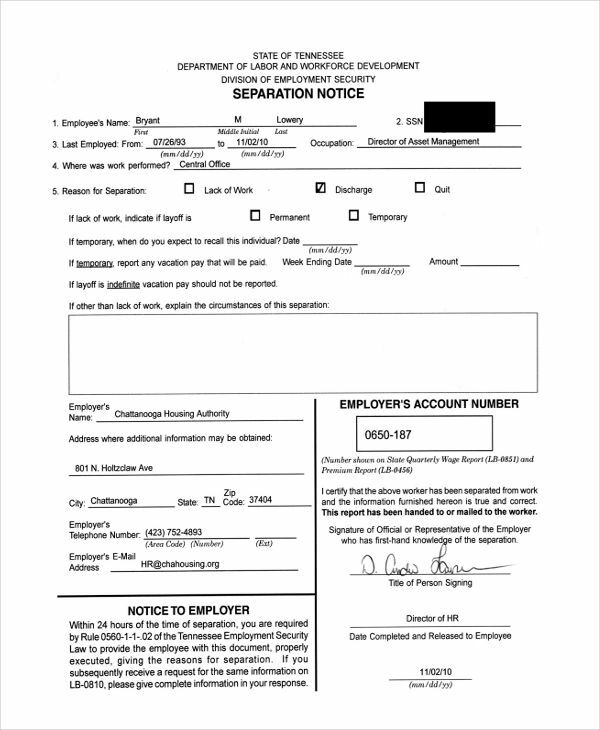 A separation notice is important especially when indicating that a certain employee’s employment period with the company is ending. 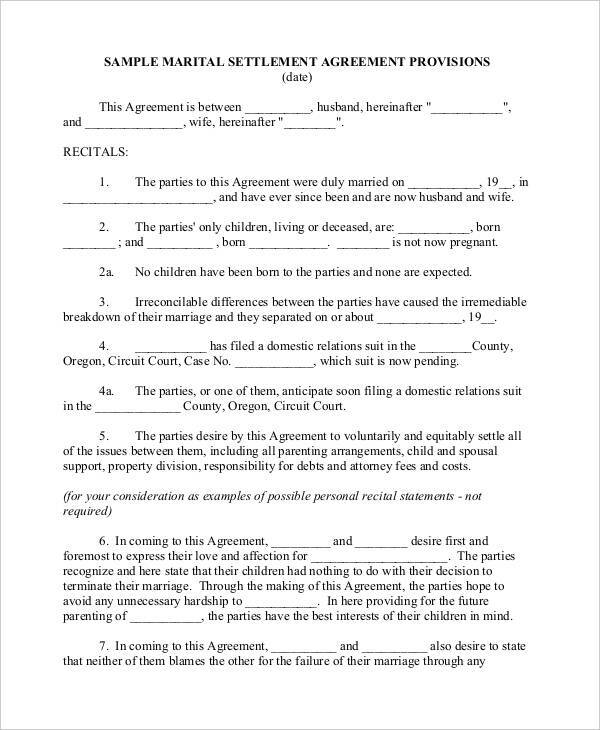 However, issuing a separation notice depends on certain circumstances. 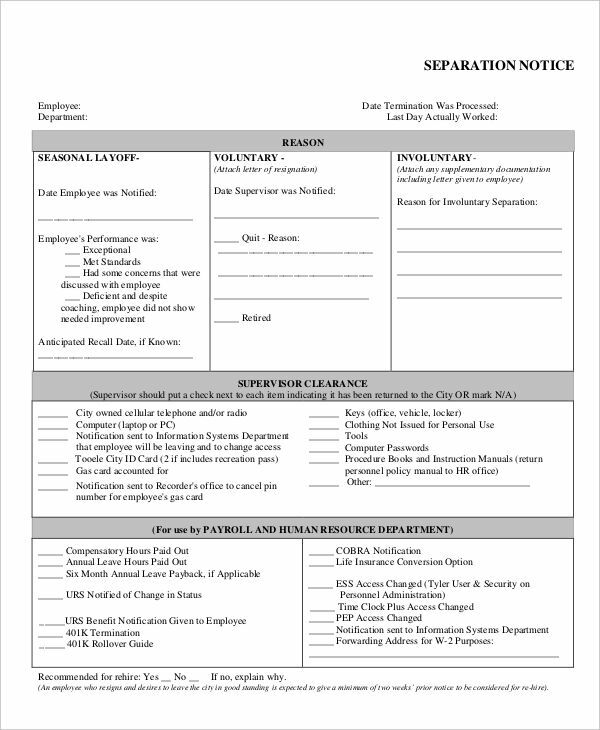 Thus, one needs to understand how separation notices work, and when to issue one. Termination. This happens when an employee is terminated for specific reasons such as misconduct. Resignation. This is when an employee chooses to resign from his/her current position for any reason. Retirement. When an employee retires, the employer is entitled to issue a separation notice. Writing a separation notice letter can be easy, but one needs to be particular of the information provided, making it difficult. 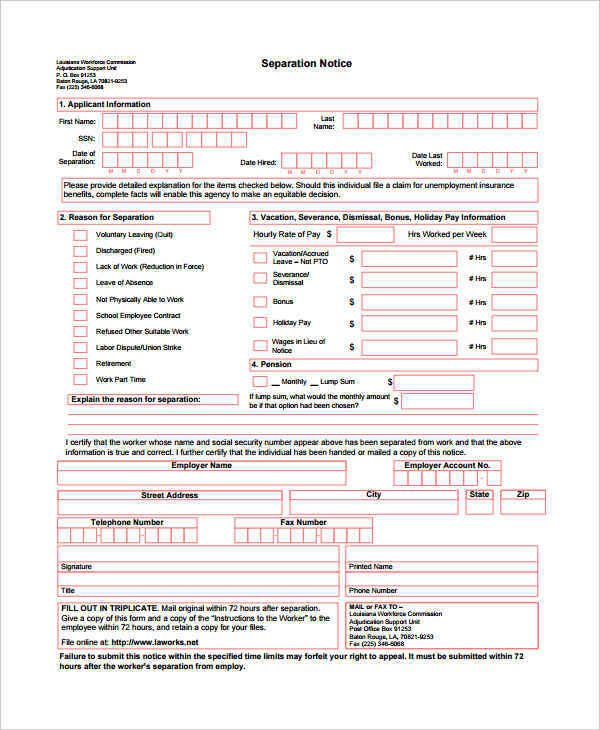 Still, it is important that one knows how to write a separation notice especially if the instance where you’ll need to write one arrives. 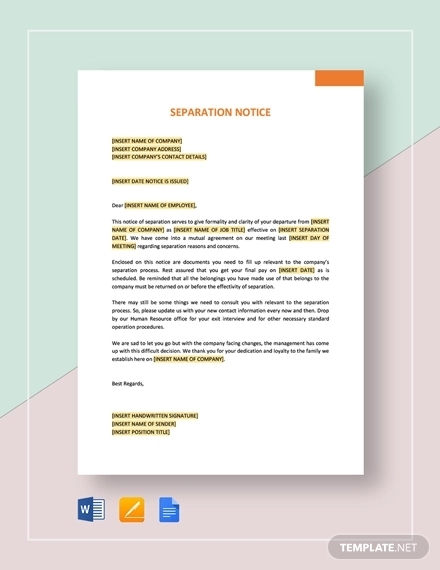 How does one Write a Separation Notice? Consider the purpose of writing. Ask yourself the following questions: Why are you writing a separation notice? 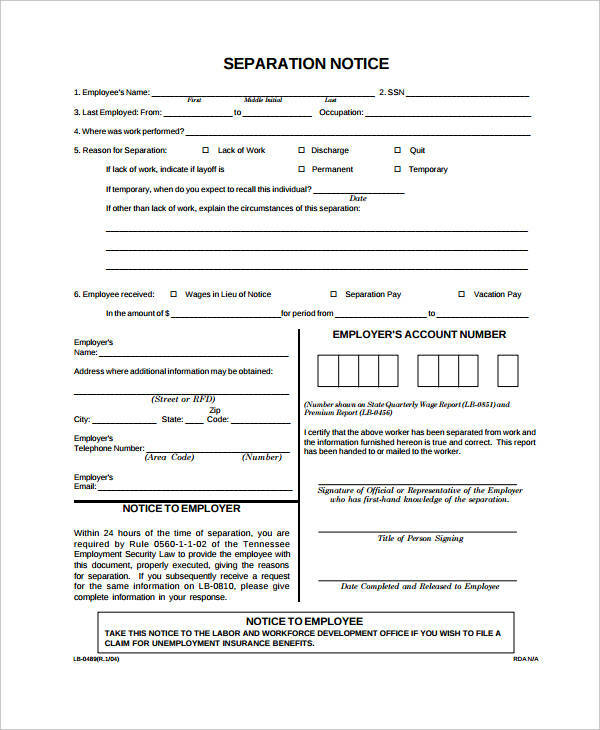 To whom are you writing the separation notice? What is the reason for the need to write a separation notice? Know all the points for consideration. Determine the information you need to write in your notice, especially the most important ones (e.g. 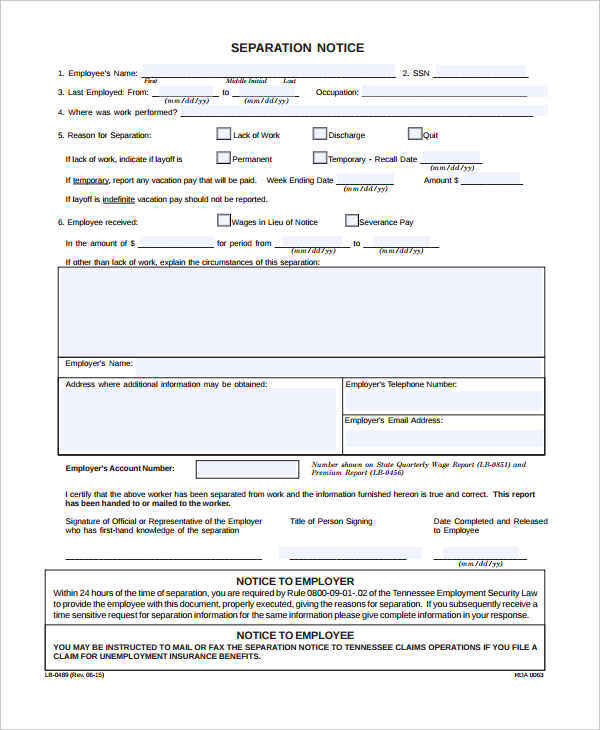 employee’s basic personal information, and employment record). Organize the points you need to write. Create an outline to organize the points you have considered. Make sure you organize everything before writing. Write briefly and clearly. Remember to make your employee notice brief, in a way that it does not take too much of your employee’s time. Make sure your employee understands what your notice says. Write in a formal tone. If you’re writing a separation notice, you need to keep your tone formal notice. This will also make your notice sound professional and official—meaning, you’re dead serious about this one. Check for errors of any kind. Find possible errors in your notice such as spelling and grammatical ones. I really believe it’s always best to have someone else to check your work for you.